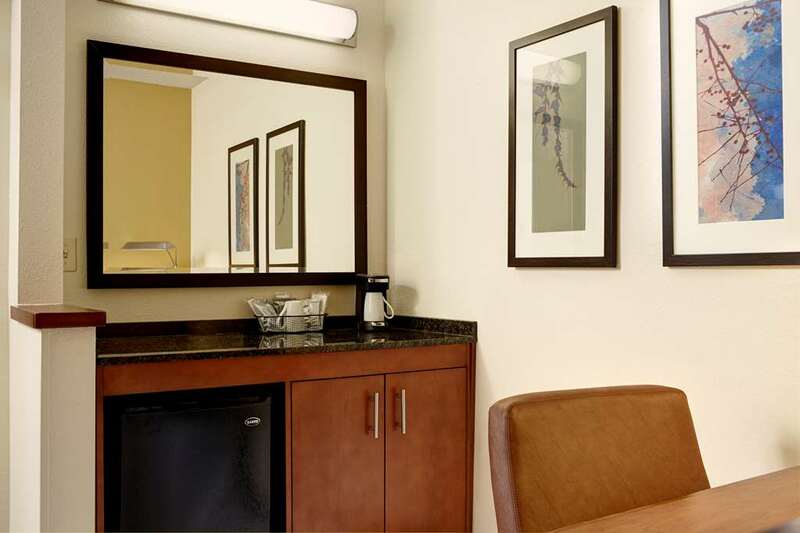 Hyatt Place Coconut Point is located in the beautiful Coconut Point Mall in Estero Fl. Coconut Point is the center of a 500- acre development full of fine dinning restaurants and upscale shopping. The Coconut Point Mall property includes 90,000 square feet of office condominiums, residential units and up to 1.2 million square feet of retail space, and a variety of great restaurants- all surrounding several acres of lakes with boardwalks. The Hotel is minutes away from Southwest Florida International Airport, Florida Gulf Coast University, Germain Arena and Gulf Beaches. Hyatt Place is an exciting and innovative new select service hotel offering more of what is important to today's travelers. Our guests enjoy a spacious guestroom with a 42 inch high-definition flat panel TV, our signature Hyatt Grand Bed, a plush Cozy Corner oversized sofa sleeper that is separated from the sleeping area, and complimentary high-speed Wi-Fi internet access throughout the hotel. The innovation extends beyond the guestroom. Our Gallery is a warm and open area that features a self-registration kiosk, an intimate coffee and wine cafe, a TV den and an e-room with free access to a public computer and printer. World of Hyatt members can enjoy our complimentary breakfast when they book an eligible rate. Our breakfast includes premium ingredients, cage-free eggs, and regional chef-inspired dishes. Hyatt Place will allow up to 2 Housebroken household pets -defined as a dog- per room. The hotel will charge a Non Refundable fee of 150 USD for the 1st pet and an additional 50 USD fee for the 2nd pet in the room. Pets cannot exceed 50 lbs each. Service Animals are exempt from fees. Hyatt Place Coconut Point is just 3 miles from I-75 Cork screw exit. Hotel is off 41 Tamiami trail. Coconut Point Mall sits on the left side. Enter Coconut Point Mall hotel is on the right.